The advertising and marketing industry has been in a state of flux for several years now, and 2018 was no different. Brands sought more control over their ad dollars; new privacy regulations were rolled out and Facebook—one of the most influential ad players—found itself launching a data privacy apology tour. At Adexchanger’s Industry Preview, advertising and marketing executives pondered the direction of the industry. Here are some of the most notable quotes from decision makers that illuminated strategy and hint at priorities that affect the consumer experience. Without diving into specifics, Fischer acknowledged in an on-stage interview that Facebook is “a very different company even from just a few years ago.” Indeed, Facebook has grown to be much more than just a social networking company. It has acquired 75 companies, including Whatsapp, Instagram, and Oculus VR. CEO Mark Zuckerberg finally admitted that Facebook is a media company and it’s beginning to develop its own TV-esque shows. The company’s reputation as a harmless site for sharing photos also faded as its business model and customer strategy came under intense scrutiny in 2018. Still, it remains an ad-driven company and as Fischer’s comment suggests, continues to hone its ability to help brands harness data to deliver highly targeted ads to consumers. 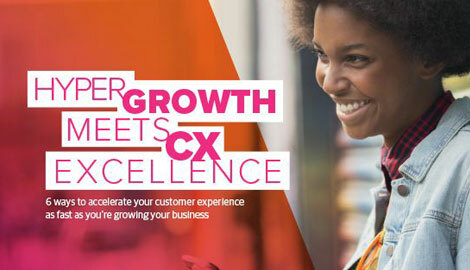 CX impact: Creating a one-to-one relationship requires a trusted relationship on both sides. And according to the Pew Research Center, last year 74 percent of Facebook users either adjusted their privacy settings, took a break from using it, or deleted the app from their phone. As Facebook evolves, businesses would be wise to assess the value that they’re receiving from the platform, and how they’re interacting with customers through it. Advertisers have long hankered for the ability to deliver personalized ads to television viewers at the same scale and customization as digital ads on a website. At the same time, cable networks are jumping into the streaming business. Last week Viacom acquired Pluto TV, an ad-supported streaming service and Hulu is a joint venture of the Walt Disney Company, Comcast, and AT&T. As the lines blur between telecommunications providers, cable companies, and streaming video companies, advertisers may finally get their wish. Digital ad spending is projected to rise 17.1 percent YoY to $327.3 billion in 2019, according to eMarketer. It’s no secret that the future of the advertising business is tied to technology companies and the ability to derive insights from multitudes of data. It’s also no secret that consumers are averse to intrusive ads and increasingly privacy sensitive. But whether brands are ready to act on these insights and treat consumer values as more than lip service remains to be seen. CX impact: Just because an ad can be personalized, that doesn’t mean it should be. As Forrester Analyst Joanna O’Connell noted, “For us to assume that hyper-personalization is always best is, in fact, dangerous.” Brands should be mindful of whether their customers would welcome personalized TV ads or view it as creepy. CX impact: The claim that brands are “customer-centric” or even “human-centric” is not new. But increasingly, those statements need to be backed by action. A company’s first step should be to identify its customers’ values and match them with opportunities to reflect those values. Customer relationship management, data management platforms, customer data platforms—these are just some of the myriad data tools that marketers use to try to understand who their customers are and what they need, noted Kihn, a former Gartner analyst. Despite an overabundance of tools and data sources, many brands still struggle to make use of their data. “About 90 percent of the data that’s dumped into a data lake is never looked at again,” Kihn said. And despite what some vendors might say, a unicorn solution that easily solves these data problems “doesn’t exist.” Marketers are still relying on a “constellation of solutions” leaving plenty of opportunities to simplify customer identification, he noted. CX impact: Solving for customer identity isn’t just a marketing issue. Customer experience leaders across the organization need to work together to integrate their data and ensure customers receive a consistent experience at every touchpoint.